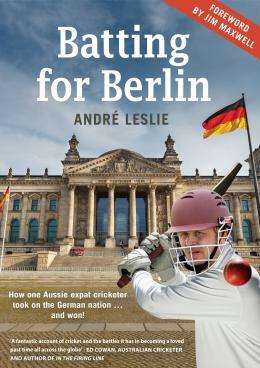 I have mentioned it to many of you already: I am about to release a book, all about playing cricket in Germany. It’s called “Batting for Berlin”. The book is due to be released in Australia on December 1, 2013 – you can order it ahead of time now here. For those in Germany (and the rest of the world) it should be available online on Amazon and iBooks by December here. For more information on the book and what it’s all about, please head to the webpage of my publishers, Finch Publishing, who have put together a bit of a blurb.